Thangles are paper strips marked with guides for sewing half-square triangles from strips. The paper stabilizes the bias seams, resulting in perfect HST's. Available in 12 finished sizes. 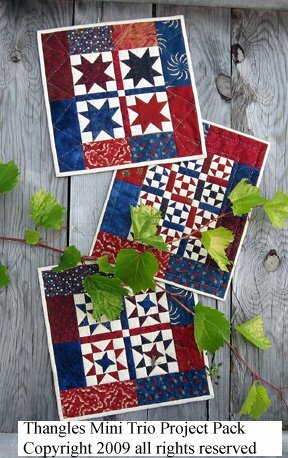 Thangles are sold by the finished size and that means the size AFTER the quilt is sewn together. 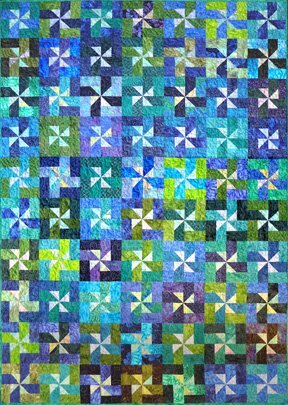 For example, 3” Thangles will make a half square triangle that measures 3 ½” square before it is sewn into the quilt and 3” after. Another way to think of it is that the unfinished size equals the finished size PLUS ½” for the seam allowances. 7/8" and then cut squares. Then you cut the squares on the diagonal to make 2 triangles. For example, if you want 2" finished, you would cut 2 7/8" squares and then cut on the diagonal. When you can see the 7/8" number in the cutting directions, this is the method the pattern is using. To use Thangles with this method, you take the cutting size and subtract 7/8". That gives you the finished size, which is also the same as the Thangle size. 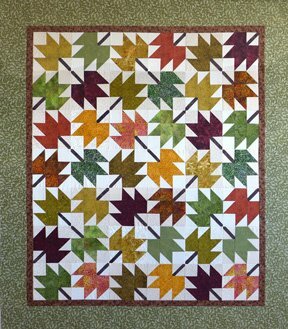 Here is an example: For example, the pattern says, cut 3 7/8" squares for the half square triangles. You take the cutting number and subtract 7/8" to get the Thangles size. 3 7/8" - 7/8" = 3. You need 3" Thangles. Thangles are paper strips marked with guides for sewing half-squares triangles from strips. The papers stabilize the bias seams, resulting in perfectly-joined triangles every time. Thangles are paper strips marked with guides for sewing half-squares triangles from strips.